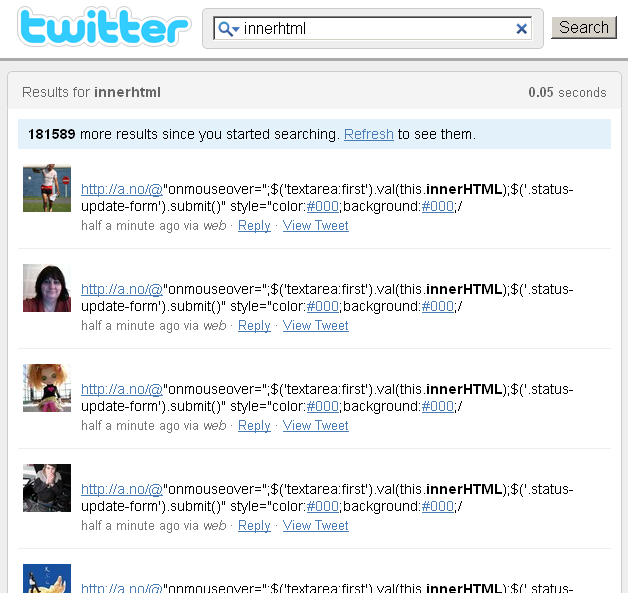 Several related XSS Worms are spreading on twitter.com at the moment. 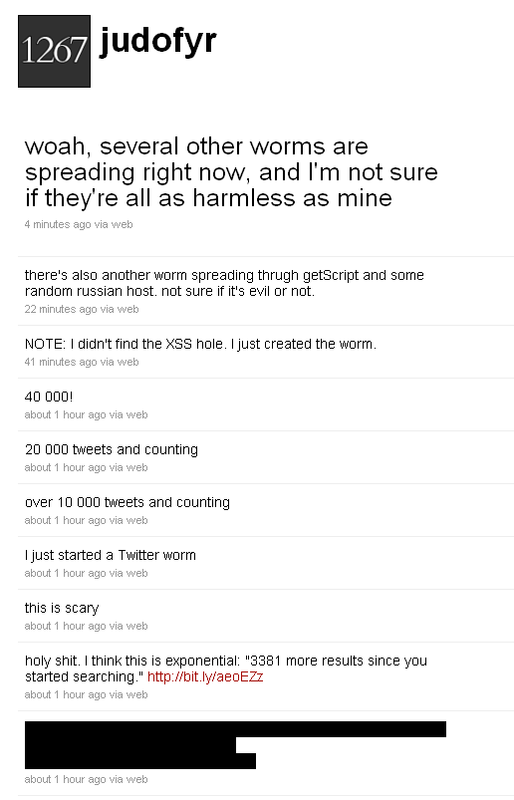 An XSS vulnerability was discovered earlier today, and we quickly saw several worms created by different individuals. Most of the worms are using onmouseover techniques, meaning it's enough to simply move your mouse on top of a malicious (mischievous) Tweet to resend the malicious message to your followers. While Twitter's security team is scrambling to close this loophole, we expect problems to continue. It's perfectly possible that there will be more malicious attacks, possibly combining this technique with browser exploits. 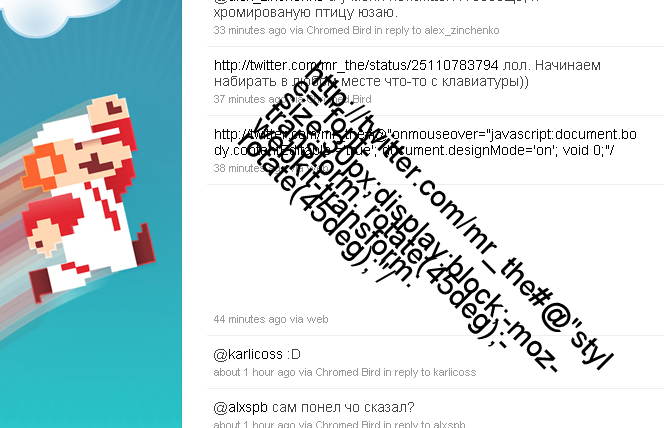 Updated to add: Twitter has fixed the XSS vulnerability and it's no longer exploitable.